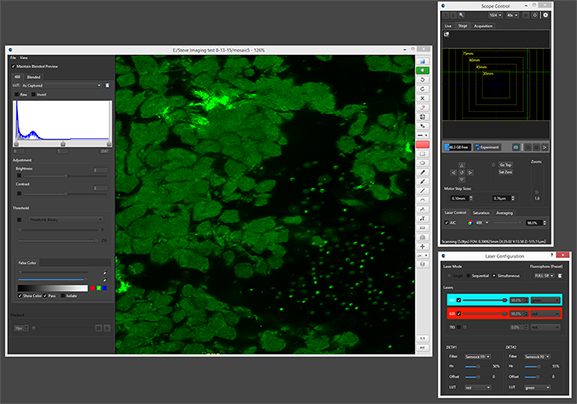 Multi-faceted imaging software that features high-speed strip mapping and pixel-level accuracy. 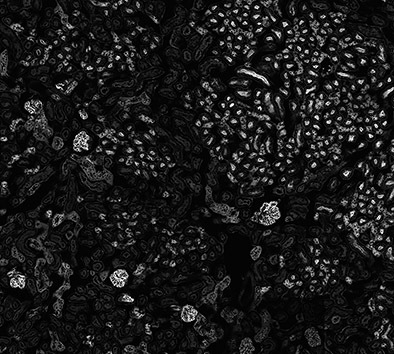 Available with the research confocal microscopes, a Windows based software suite enables you to get an image with cellular level, down-to-the-pixel accuracy that delivers perfect homogeneity, generated with virtually no delay. Multi-dimensional imaging software offering single channel, sequential and simultaneous capture based on fluorophore requirements. 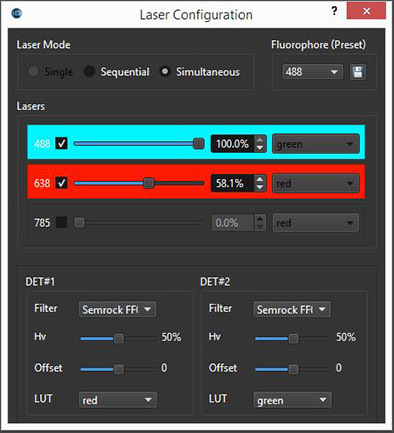 Scope control interface for setting up experiment positions and enabling laser saturation indicators (high and low), image averaging and exposure. 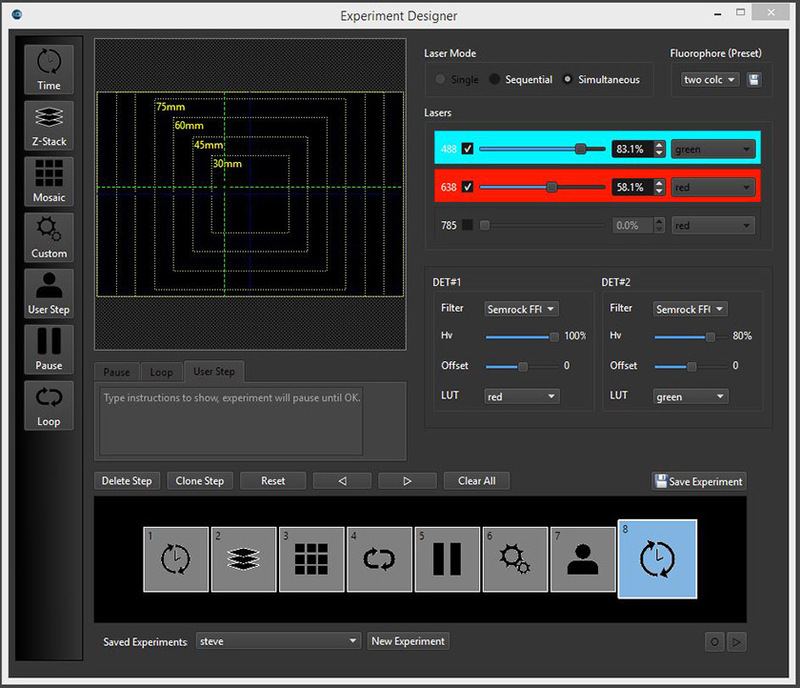 Experiment mode allows user to customize acquisition parameters to their experiment utilizing all scope and laser controls. Windows-based storage structure capturing images in native 16bit TIFF image formats for easy conversion to analysis software.